Game On! 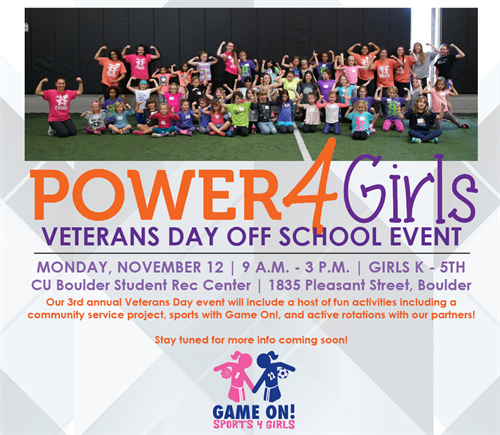 Sports 4 Girls is proud to present our 3rd Annual Power4Girls Veterans Day Off School Event! The day will include a host of fun activities including a community service project honoring our veterans, sports with Game On!, and other active rotations with our partners. More information and registration at https://power4girlsboulderveteransdayoff2018.eventbrite.com.